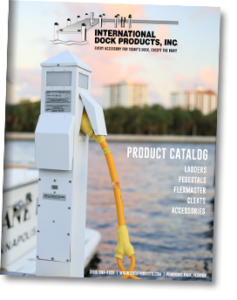 Protect your dock and your boat with our exclusive FlexMaster dock cushioning. 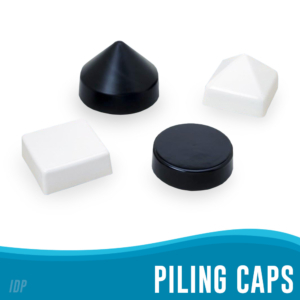 Made from a durable yet flexible extruded PVC material in both black and white. 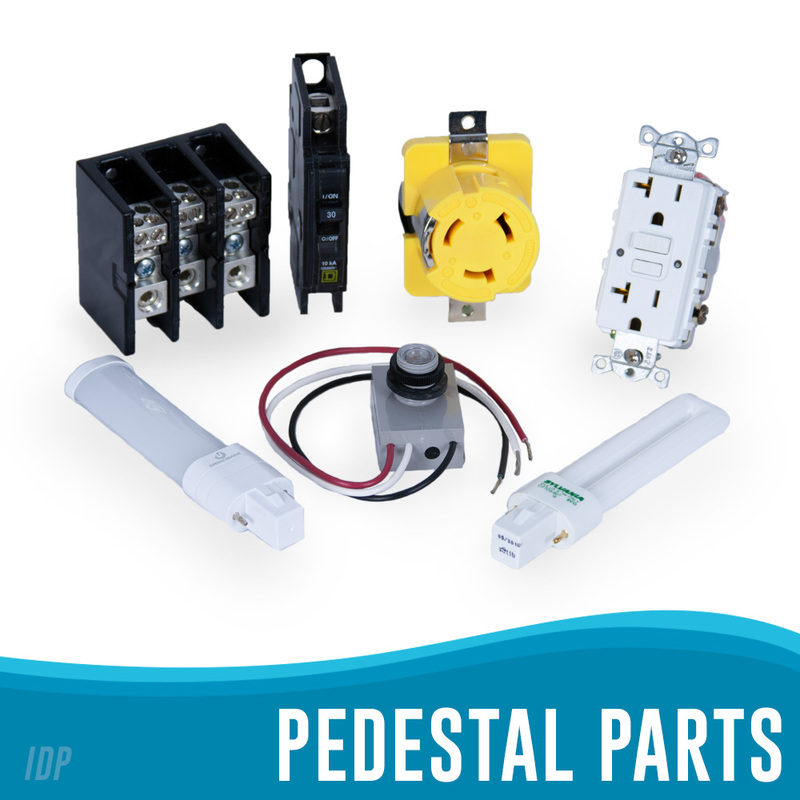 Standard profile can be purchased without any backing to be mounted on a 2 x 4 when and where you choose. Our most popular request is FlexMaster with our recycled plastic backing installed on either a 2 x 4 or 4 x 4 board. We use stainless steel fasteners along the full length and complete the assembly with a finishing top cap. 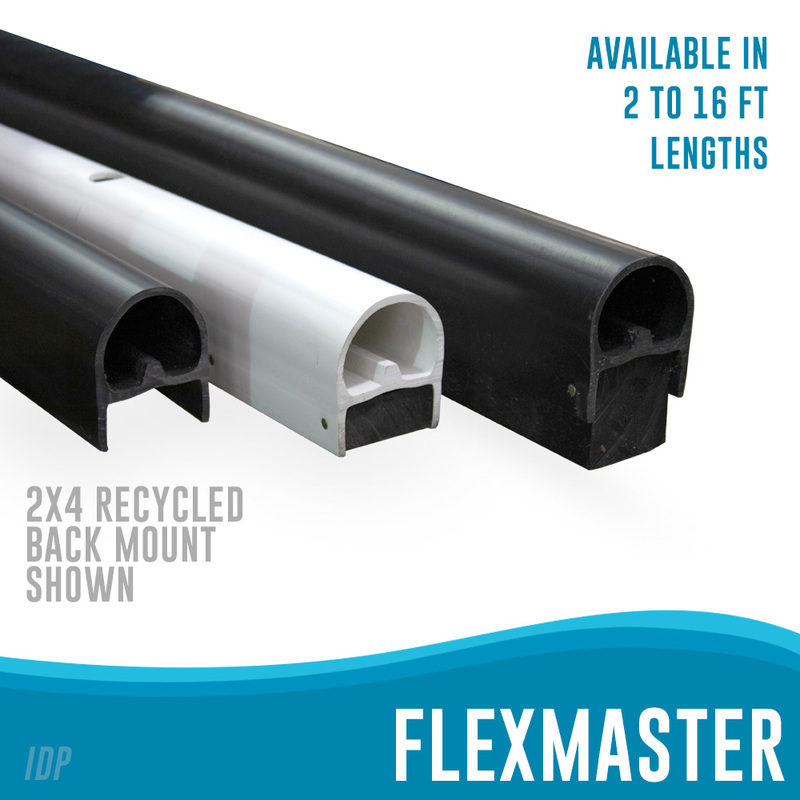 With or without backing, FlexMaster is sold by the foot and quantity discounts are available. 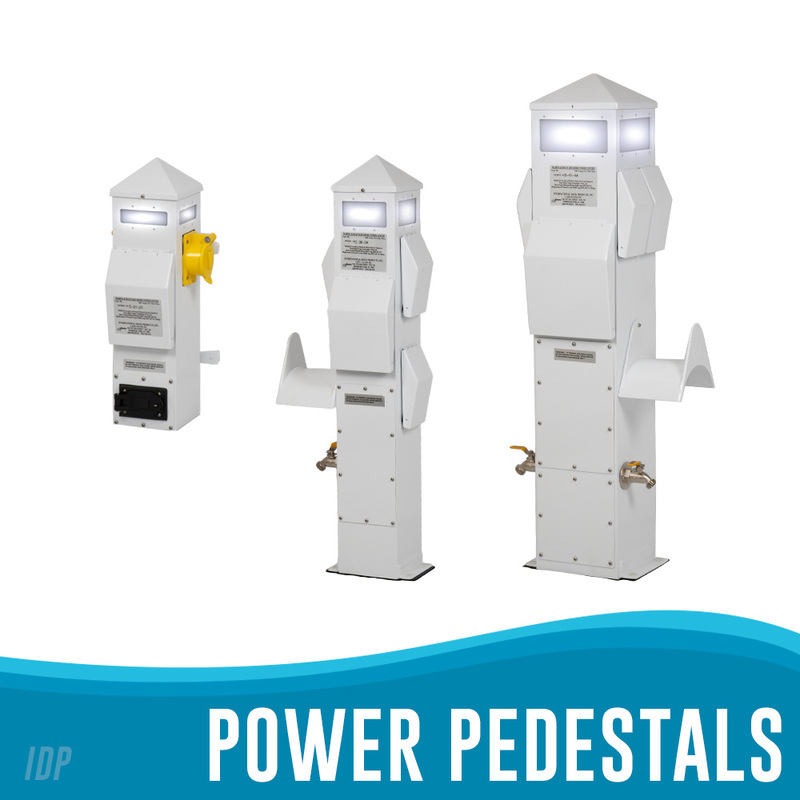 Available in lengths from 2 – 16 feet. The FlexMaster installation pictured is a great example of the products versatility. Notice the longer units centered where his boat will be permanently docked, with shorter versions lined along the property below eyelevel, but ready to receive guests. FlexMaster dock protection comes in any size you might need. 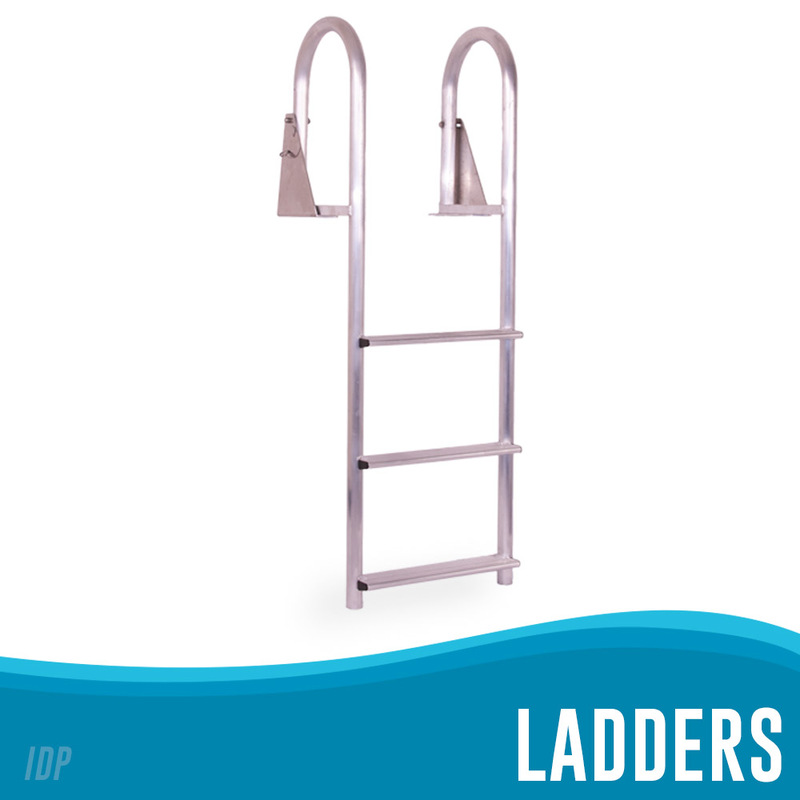 From 2 – 16 feet in both black and white is available in all configurations. Order it without backing and attach to the 2 x 4 or 4 x 4 you provide. Our FlexMaster mounted on recycled plastic lumber virtually eliminates future trouble with wood rot in all conditions. Choose 2 x 4 or 4 x 4 plastic backing to fit your requirements. 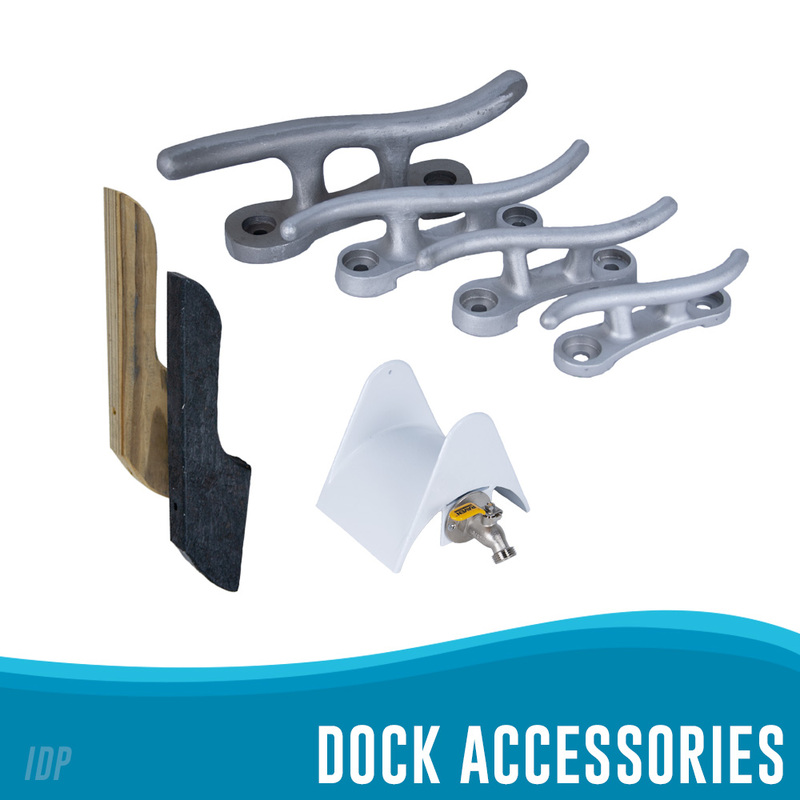 When there are no pilings on your dock, they are too short or they are not spaced properly for your needs look into our custom sized fender brackets. Welded from heavy duty aluminum channel, our brackets are designed to fit FlexMaster mounted on a 4” x 4” exactly. When ordering simply give us the total length you need and how many feet below the dock it needs to protect. Mount these brackets between pilings to solve the problem of smaller boats and PWC’s getting damaged when they slip under the dock. Brackets and Flexmaster are sold separately by the foot.